William Parmelee joined Oxbow Carbon LLC as Chief Financial Officer in January 2011. A native of Cranston, RI, Mr. Parmelee earned a Bachelor of Science degree in Business Administration from the University of North Carolina � Chapel Hill in 1979. Immediately upon graduation, he began his career with Ernst & Whinney in Raleigh, NC, and was licensed as a CPA by the State of North Carolina in 1981. In 1988, Mr. Parmelee left Ernst & Young and joined Qualex Inc. in Durham, NC, the world�s largest wholesale photofinisher and a Joint Venture between Fuqua Industries and Eastman Kodak, later a wholly-owned subsidiary of Kodak. Hired as the JV�s first Director of Finance upon its formation, he rose to the level of Chief Financial Officer before departing for National Gypsum Company in Charlotte, NC in 1998. He first served as Vice President � Finance before being promoted to Chief Financial Officer at the end of 1999. Mr. Parmelee served as a Director on the Board of Financial Executives International from 2009-2015. 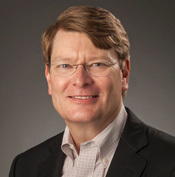 He is a member of The Conference Board�s CFO Council, and is a Life Member of the UNC � Chapel Hill�s Alumni Association. Mr. Parmelee was recently elected to the Board of Directors of the Cultural Council of Palm Beach County, after serving for a number of years on the Board of Directors of the Arts and Science Council of Mecklenburg County in Charlotte, NC.